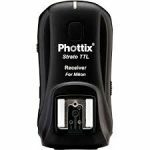 Phottix BG-7D (BG-E7) Premium Series Battery Grip for Canon 7D digital cameras doubles the length of shooting time and eliminate the need for frequent battery changes by using two LP-E6 batteries or six AA size batteries before running out of charge. An additional vertical shutter-button allows the shutter to be triggered more comfortably when the camera is used in portrait orientation. 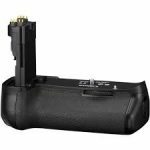 This grip is compatible with Phottix or Canon LP-E6 batteries. 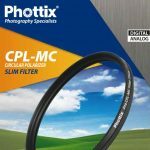 The Phottix CPL-MC Circular Polarizing Multi-coated Slim Filter is an indispensable addition to your photography gear. Using the highest quality of German optics, the multi-coated C-PL filter is great for removing reflections from non-metallic surfaces (glass and water) in your photos, and improving color saturation, clarity and contrast. C-PL filters are most commonly used to increase the saturation and contrast in images of blue skies and clouds. This filter has been optimized for use with Digital SLR cameras. 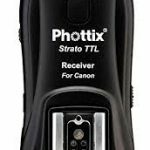 Compatible with many Canon cameras. Wirelessly trigger your Canon camera with the handy IR (Infra-Red) Remote Control. 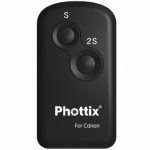 The Phottix IR Remote for Canon features instant and 2 second delay shutter functions. Compatible with many Canon cameras an IR remote is great for self-portraits, and group shots that you want to be in or macro and astrophotography. Check your camera manual for IR remote functions. Compatible with many Nikon cameras. Wirelessly trigger your Nikon camera with the handy IR (Infra-Red) Remote Control. 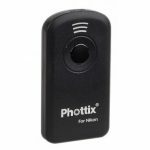 The Phottix IR Remote for Nikon features instant and 2 second delay shutter functions. Compatible with many Nikon cameras an IR remote is great for self-portraits, and group shots that you want to be in or macro and astrophotography. Check your camera manual for IR remote functions. 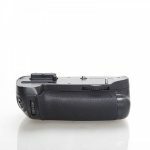 Wirelessly trigger your Sony camera with this handy IR (Infra-Red) Remote Control. 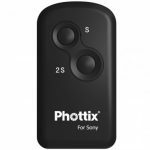 The Phottix IR Remote for Sony features instant and 2 second delay shutter functions. A new IC increases the range of this handy unit. 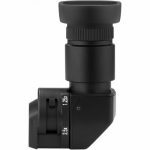 Great for self-portraits, group shots that you want to be in, macro and astrophotography. 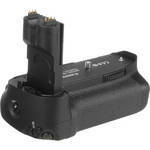 Compatible with many Sony DSLRs and NEX 5 cameras. Check you camera manual for IR remote functions. 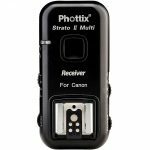 Phottix Ultra Slim UV Filters absorb ultraviolet rays and help provide clear, sharp photographs with less environmental haze while protecting your lens. 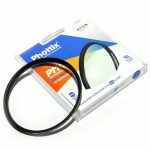 A super-thin 1 mm, Phottix Ultra Slim UV Filters are built to exacting specifications using German glass. These filters feature light transmission rates of 95%. 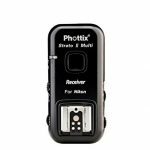 The Phottix Ultra Slim UV filter is multi-purpose, recommended as a permanent lens protector, and is good for color or black and white photos. 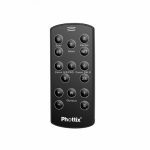 The Phottix Ultra Slim UV filter is availble in 52, 55, 58, 62, 67, 72 and 77mm sizes. Cut the light reaching your sensor by 2-8 stops. 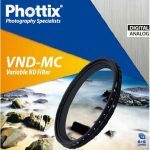 The Phottix VND-MC Variable ND Filter screws on like a regular lens filter and is completely adjustable. Do away with static ND filters and change density as the environment changes. Focusing is much easier with a VND then with a tradition ND filter. Turn the ND down to focus, turn it back up to take the shot – much easier than taking a filter out of the holder and adding it back again. These filters have 12 layers of multi-coating (6+6) for clearer images with less haze. Available in 49, 52, 55, 58, 62, 67, 72, 77, 82mm sizes. How can a VND filter be used? -Enable slower shutter speeds to cause blurring effect in water, clouds or cars. -Decrease depth of field by allowing large apertures to be used while keeping shutter speeds lower. -For DSLR Video: Help optimize your shutter speed – keeping it double your FPS rate. 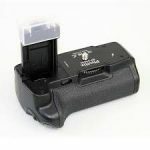 -When using film: Decrease the sensitivity of high speed ISO films in bright outdoor conditions. Accepts cameras up to 5kg/11lbs. 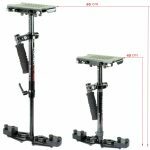 This light weight Camera Steadycam kit can be used without any body support system. 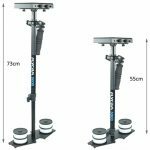 360° Smooth rotatable steadycam gimbal. The bottom base plate allow multiple mounting. 16 counter weights. Fine adjustment fantastic Camera Balance Platform. The bottom base plate allow multiple mounting options. 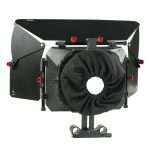 ADVANCED MB-600 MATTE BOX with outer diameter of 95mm to accommodate multiple lens sizes. TOP FLAG AND SIDE BARN DOORS with height adjustment feature provides extra flare reduction. Two 4×4 rotating filter holders for easy removal and installation of square filters. EASILY DETACHABLE, LIGHTWEIGHT video matte box comes with KNICKER black-out fabric to block extraneous light.